Madison is the capital of the U.S. state of Wisconsin and the county seat of Dane County. It is also home to the University of Wisconsin Madison.As of the 2000 census, Madison had a population of 208,054.Its 2008 estimated population was 231,916,making it the second largest city in Wisconsin, after Milwaukee, and the 81st largest in the United States. 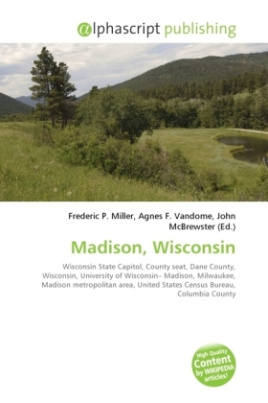 The city forms the core of the United States Census Bureau's Madison Metropolitan Statistical Area, which includes all of Dane County and neighboring Iowa and Columbia counties. The Madison MSA had a 2008 estimated population of 561,505, and is one of the fastest-growing in Wisconsin.